It was 380 years ago today that the Massachusetts General Court required all able-bodied men between sixteen and sixty join the militia. The three units created still exist today in one form or another, thus December 13, 1636 is considered the birthday of the National Guard. Guard units around the country have and will be celebrating with parades and concerts. Big "I" Markets offers Event Liability insurance that can cover just about all of these events, including parades, concerts and parties, all of them of any size, even those with fireworks*. Event Liability doesn't mean just parades and music, but refers to weddings, festivals, parties, conferences, and lectures, just to name a few. Does the event continue overnight and include camping? No problem. Afraid the event might be too large to find coverage? There is NO LIMIT on event size so you don't have to turn anyone away. Coverage can be placed for the individual or entity hosting the event quickly. For those providing services to events, such as DJ, caterers, florists, and photographers, we have a product as well. Vendors can secure coverage on a short term or annual basis. 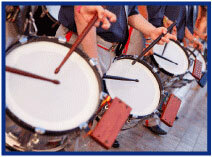 Event Liability is available in all states, so march over to Big "I" Markets and check it out. Competencies are bundles of personal attributes that, in conjunction with the work environment, give rise to performance in critical outcome areas. Competencies come together to create a competency model, an organizing framework for aligning human capital with company goals. Caliper's new Competency Library, a comprehensive collection of 49 competencies composed of complex trait formulas and behaviors that can be applied to all manner of leadership, sales, service, and technical roles in any organization. Click here to test out the new interactive tool or visit www.calipercorp.com/iiaba to take advantage of your exclusive Big "I" member discount on Caliper's suite of talent management solutions. Are Your Agents Too Careful to Need Real Estate E&O? Most real estate agents don't have E&O insurance, presumably thinking only careless agents will get a claim filed against them. The problem with this thinking is that real estate agents get sued for things that are completely out of their control. "Failure to disclose" is the most common type of claim. 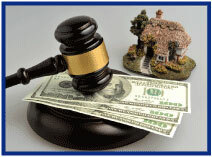 Buyers will sue when a defect or mold, previously unknown, are discovered after the sale. The threshold to prove that the agent was negligent isn't that they did know, but that they should have known. Even if the plaintiff fails to prove the agent knew or should have known the agent will have to contend with his or her legal bills, which can easily run into the thousands. Losing the case can mean tens or even hundreds of thousands of dollars. Travelers Real Estate Agents/Property Manager E&O provides professional liability protection for claims or suits resulting from real estate agent or broker professional services. Coverage is available in all states with the exception of CA, HI, and LA and is written on admitted paper. Log in to Big "I" Markets at www.bigimarkets.com and click on "Real Estate Agents and Property Manager E&O" to learn more or to request a quote. In a personal umbrella rate filing recently I noticed the insurance department questioned a 6 point contingency load built into loss costs used to justify an 10% overall rate increase. That is, six points or $6 of $100 in projected loss costs was attributed to "contingencies." Actuaries are like CPAs and they have rules to live by. The rule here is found in Actuarial Standard of Practice (ASOP) No. 30 and it says, "The actuary should include a contingency provision in the rates if assumptions used in ratemaking produce cost estimates that are not expected to equal average." OK, first six points? Second, SIX POINTS! Wow. The justification is astonishing. In the filing the Allstate actuarial team cites the unforeseen costs of lead paint for their "contingency load." See below. According Allstate across their entire company their personal umbrella policies bore the unforeseen costs of lead paint that totaled about $1.25 for every man, women and child in the USA. That is actually 9.0% to 10.5% of all personal umbrellas losses over those 27 years. Umbrellas are for your insureds' "contingencies." Are you offering an umbrella to every personal lines client? Do you use a checklist to make sure you ask about umbrellas and other exposures, such as the ones available through a subscription to Virtual Risk Consultant? Do you have a standard renewal process and declination form in place? Learn more about the Big "I" Personal Umbrella program at www.iiaba.net/RLI. Congratulations to our agent in Kansas on a commercial lessors risk sale of $20,015 in premium!